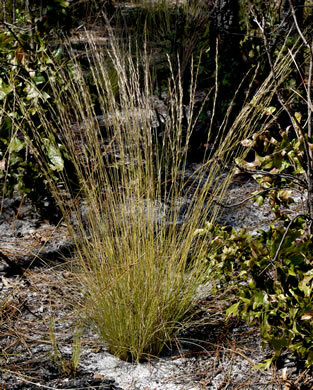 Leaves semievergreen, very narrow, folded longways so they're wiry, upright, per Gardening with Native Plants of the South. 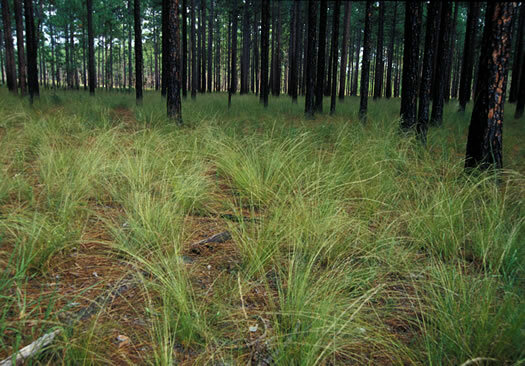 Plant forming dense tussocks; leaves primarily basal & usually very numerous, per Weakley's Flora. 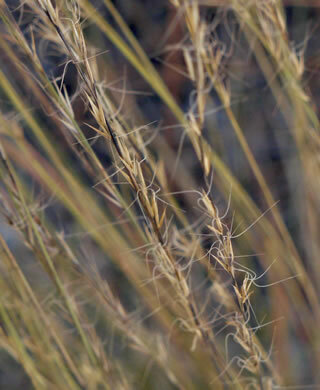 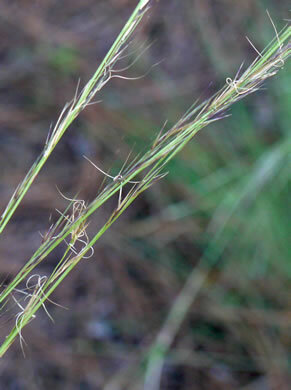 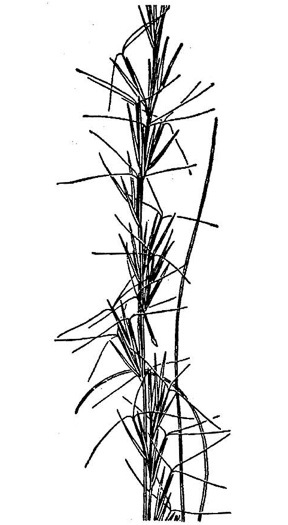 Awns divergent, the central 1-1.5cm long, the lateral a little shorter, per Manual of the Grasses of the United States.